Good Choice Reading: The Language of Thorns by Leigh Bardugo Virtual Signing! 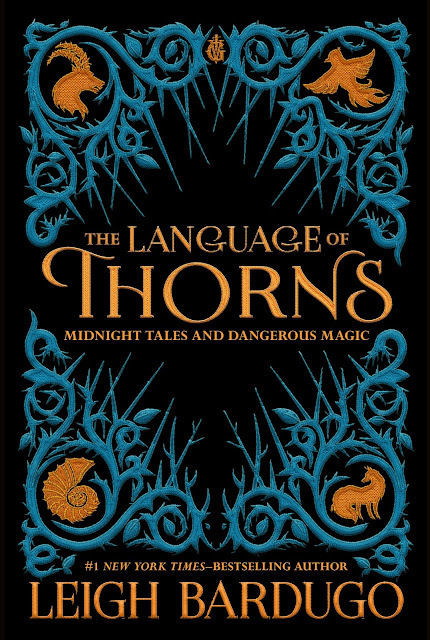 The Language of Thorns by Leigh Bardugo Virtual Signing! Starting today, through September 18th, you will be able to pre-order a signed personalized copy of the book, PLUS copies of SHADOW & BONE, SIEGE & STORM, and RUIN & RISING! Can you tell we're excited yet? As always, we ask that you read all TERMS & CONDITIONS before placing your order. For those who are NEW to our site, if you will be ordering more than one copy visit this link to learn how: PLACING YOUR ORDER. All books will be signed on or around September 26th - 29th and shipped the following day. This event closes on September 18th at midnight. After September 18th there are no refunds as all the books would have been ordered and ready for signing. Good Choice Reading/Leigh Bardugo will not be held responsible for any lost, stolen, or damaged mail. You will have to file a claim with the post office. All packages are insured up to $50 FREE OF CHARGE, sometimes more depending on the size of your order. YOU REQUESTED IT & WE LISTENED! You can also order the paperback copies!